For the last 20 years, digital marketing has been a fluid and emerging beast of a discipline. Venture and private equity investing in marketing and media technology have fueled the industry’s growth—by tapping into the massive annual creative and media budgets tied to the new digital habits of brands and customers. With the emergence of Facebook, Google, HubSpot and many more, the digital marketing industry has grown from $8 billion in 2000 to $88 billion in 2017. Today, my goal is to share a perspective on how the disciplines have converged to provide marketing and sales with a sustainable collaboration model that delivers new revenue growth. Digital is now the medium for customer engagement and business growth. As a connected and measurable process, marketing can now provide sales with leads to service and close. This hasn’t been the case in the past. Let’s dive in! 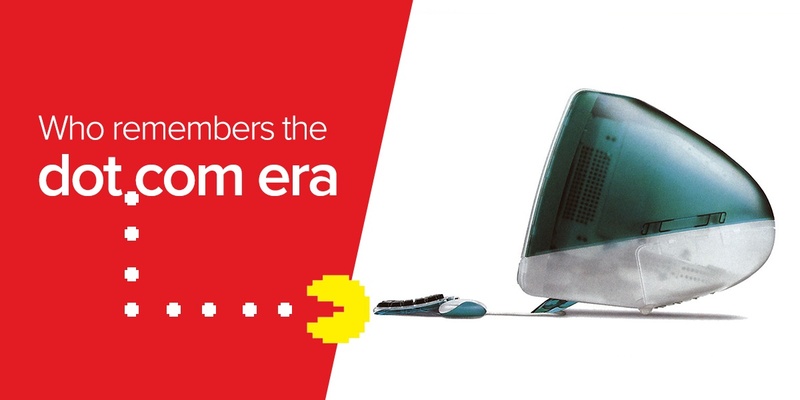 The Dot.com Era: What’s Changed Since Then? That was the starting point, but even back then, digital marketing was a challenge. It required a lot of work to convince clients they would realize value by investing in it. Regardless, brands built sites and the result was that people came. This became the standard. Advertising was still largely a print and TV thing. Then the smart folks in the industry saw all the emerging digital places and portals, as a massive white space to fill with ads. The biggest change has been the shift from driving clicks to your website (and calling it a win), to leveraging data that can be captured through digital engagement. Platforms such as Yahoo emerged, followed by other new and free portals, as well as email services to draw in users and capture data. Email was the hook service supported by an advertising revenue model. Fast forward to now, and that same model has created media centres full of catered, personalized advertising. Companies like Facebook helped build on this model, as they helped brands listen to the audience through their habits and interests. This behavioural data has proven to be measurable and effective, enabling businesses to target based on interest, preferences, demographics, and previous online behaviour. Even though we have the data available to help place ads or content in front of audiences, we need to ensure that content is created with the target in mind. You also need to be able to nurture the lead along the buyer's' journey to a sale. It’s now 2018 and digital has become the pervasive medium to attract and convert customers. Brands are investing in digital to better engage their customers. Revenue targets are increasingly tied to a brand’s digital strategy. But not everyone has a digital strategy that is effective. How to Stand Out in the Crowded Digital Space: Use Inbound! So what technology-enabled methodology has risen to the top to integrate social, storytelling and sales that ensures your digital strategy is user-and audience-centred? Inbound marketing is one of the prominent methodologies that address the question. In a crowded digital arena of methods and tools, the practicality of inbound just makes sense. These days, there’s a lot of MarTech out there that promises to improve your online presence. But at the end of the day, it’s about what works. This means that brands need to evolve and adapt. Most importantly, we move away from sales and marketing departments working in silos, to an integrated model where each team works tightly with the other. Check out our blog on Sales and Marketing Alignment to learn more about how it works. At Red Rocket, we’ve created our service offering around Inbound, as it’s a proven technique for attracting site visitors and building online relationships that delight, build trust and convert visitors into customers. Contextualizing the conversation around the needs of your prospective and existing customers is a critical strategy to staying top-of-mind and relevant. It’s a detailed process to set up— starting with identifying your buyer personas, then focusing on insight collection to author relevant content that your clients discover as they search for answers to their needs. Implementing an Inbound Marketing methodology, and working with a CRM such as Hubspot, enables automated and tracked processes. On the prospect side, business people in need of information are comfortable sharing their name and business email in exchange for a playbook or insight data that helps them with their work. The outcome is a rich database of contacts that are engaging with your brand integrated with an automated process that converts web traffic to leads. Our connected world has manifested a new “information marketplace” where people are comfortable bartering their details in exchange for answers and insights. Managing the process requires the right balance to ensure your thought leadership is relevant and presented in a timely way. Check out our blog: 3 Tips On Generating Leads From Your Website. Getting an inbound marketing program set up can require a restart. You might be currently using social marketing or content marketing as a part of your digital efforts. Take it a step further with an integrated Inbound strategy that allows you to attract, engage, and delight your prospects and customers and continue to build trust in your brand. 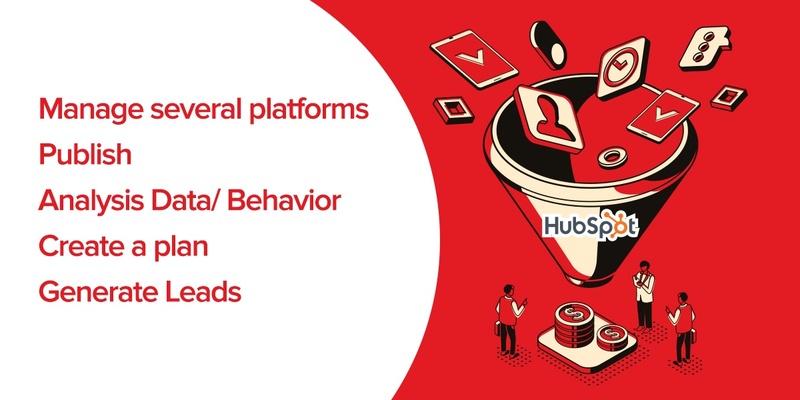 Supporting this methodology are Inbound platforms, like HubSpot where you can publish content, manage necessary workflows and track prospect and customer behaviour. The inbound methodology, along with technology helps you to build your brand in the digital sphere while capturing and tracking quality leads. This will enable you to grow your business and get customers who buy more and stay with you longer. We have years of experience designing and executing on the methodology of inbound marketing. If you are new to the methodology you can review our blog: How to Master the 4 Inbound Marketing Stages. Red Rocket Creative is a growth agency with an extensive track record. We drive growth for our national and international customers via our inbound marketing services. As a HubSpot Silver Partner, we are driving measured growth for our clients in the CleanTech and Industrial verticals.